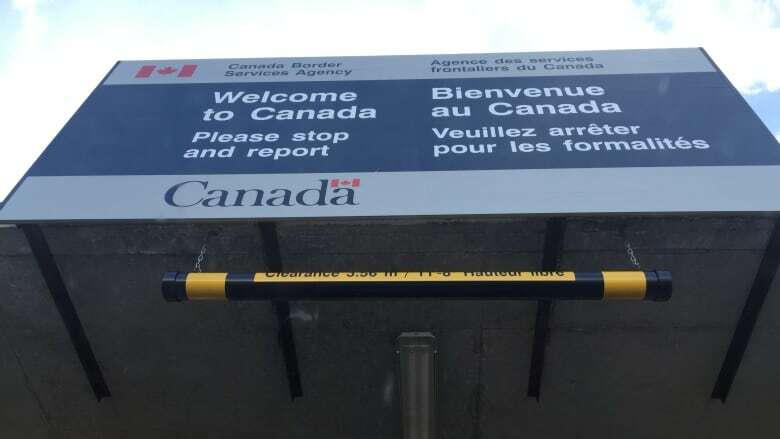 Canadian front-line border agents now have access to more information on travellers contained in Canada's law enforcement database, a significant change in the way visitors are checked for potential security risks, CBC News has learned. Until now, front-line border agents did not have access to information contained in the Canadian Police Information Centre database when checking the backgrounds of the millions of travellers who arrive at Canada's border crossings every month. But as of Nov. 23, the Canada Border Services Agency gave border agents at primary checkpoints access to some of the information normally contained in the database. "This means that border service officers can now identify wanted individuals earlier in the border process," the border agency told CBC News Thursday night in a written statement, although it's not clear whether all border agents have been trained to access the data. Canada's national law-enforcement database contains information about outstanding arrest warrants, criminal convictions and other security information. As CBC News reported earlier this year, U.S. border agents use Canada's database to help screen all passengers travelling to that country, but Canadian agents weren't using it to screen everyone trying to enter Canada. In fact, Canadian border agents at primary, or front-line inspection points didn't have access to the database. Only travellers deemed suspicious and sent for secondary screening were being checked against the CPIC database. The idea is not to slow goods and people crossing the border by fully screening everyone. Sources say the information should assist in flagging unwanted visitors or those deemed a security threat. The new information will be updated on a daily basis and be provided to all front-line agents, sources have told CBC News. Until the changes, border agents at primary inspection lines scanned travellers' passports through an internal "lookout" system. That system only contained information about some people being sought by immigration authorities. Agents also had access to a database of lost, stolen or fraudulent documents. Earlier this year, Jean Pierre Fortin, president of the Customs and Immigration Union, told CBC News the system was putting Canadians at risk. "If you aren't in the CBSA's lookout system," said Fortin, "you're coming in and we don't even know if you're a criminal or not." The changes come six months after a CBC News investigation that exposed the security loophole. The investigation revealed that a Nigerian priest charged with sexual assault in Canada was allowed through the border, despite an outstanding warrant for his arrest. Father Anthony Onyenagada is accused of assaulting a female parishioner at a southern Ontario Catholic church he visited in 2004. By the time charges were laid against him and a warrant issued for his arrest, Onyenagada had left Canada. Police assured the woman the priest would be arrested if he ever tried to re-enter the country. Then, nearly 10 years later, the woman found evidence that he had returned. Local police who investigated the alleged sexual assault told CBC News they were shocked to learn Onyenagada had made it through border control. By the time police realized the priest had returned, he had left Canada again, eluding arrest. It appears he was never screened using the CPIC database, which would have alerted agents that Onyenagada was wanted. CBC News has agreed not to identify the alleged victim in the case. "I'm happy the loophole is being closed, but it doesn't bring the person who raped me back to Canada. The system failed me, but hopefully it won't fail anyone else going forward," she told CBC News Thursday. If you have information about this story, or any other story you want investigated, please contact john.lancaster@cbc.ca or call 416-205-7538.